The professional solar inverter for residential applications suitable for up to 3000watt input power. The special features of our on grid inverters are robust IP65 housing, transformer-less output ideal for indoor and outdoor use with dust proof protection. There is also an AC water proof plug for extra protection. 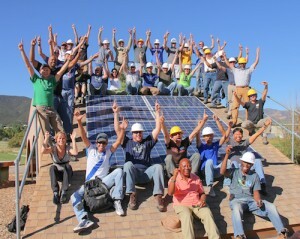 The robust Soladin 3000 WEB brings solar energy within everyone’s reach. These on grid inverters ensure a professional performance for small domestic PV systems. Thanks to the built in WiFi you can monitor your solar installation using your mobile phone or your computer. You will keep an eye on your inverters even when you are away or on holiday. The sielent operation makes the Soladin WEB on grid inverters ideal for installation in the house. The Soladin 2200 and 3000 WEB models are also suitable for outdoors due to their solid IP65 casing. These range of on grid inverters are quality products from Mastervolt. Our ‘Zero Defects’ policy limits errors to a minimum. The Soladin WEB inverters are supplied with 10 years warranty. 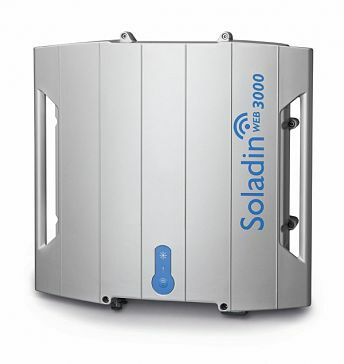 The Soladin WEB solar inverters will get the most out of your solar panels in all weather conditions. This means not only a great performance in blazing sunshine, but also the best possible yield on cloudy days. Electrical & Electronic Engineer at Voltacon Power Conversion. An inventor and product developer in renewable energy with over 15 years experience. Previous experience in the R&D centres of Almost Power and General Electric.